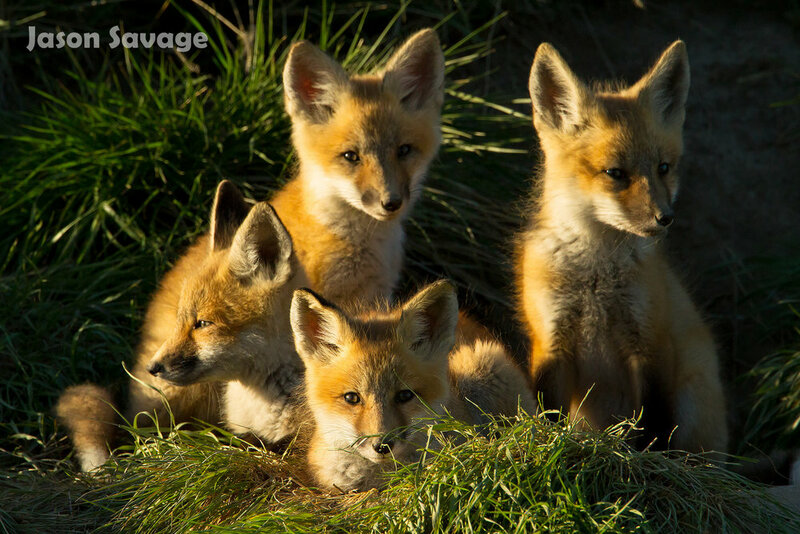 Jason says: One evening while on assignment in central Montana, I happened to stumble upon a red fox den with an unusual amount of fox kits running, playing, coming and going around the den. I decided to return the next evening when the lighting was better and brought my family to see the den. As my wife and 4- and 2-year-old watched the foxes play, we counted a total of 11 kits inhabiting the den. The most ever recorded has been 13, so needless to say it was quite a treat to see all the activity and as the last light of day touched the hills, I captured a brief moment of rest among the kits, and a reminder of the young life in the natural world.